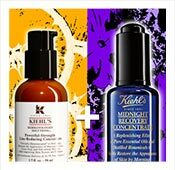 Kiehl’s is proud to announce its newest global program, Meet "Mr. Bones." The original "Mr. Bones" skeleton is the actual human skeleton used by founding family member, Aaron Morse during consultations to educate patrons on various ailments and how Kiehl’s remedies would address them. Today, "Mr. Bones" represents Kiehl’s pharmacy heritage, commitment to customer service, education and science. With Meet "Mr. Bones," Kiehl’s celebrates its own icon by partnering with 13 iconic influencers from all genres including Grammy award–winning musician Alicia Keys, actor Zach Galifianakis and pop-artist Kenny Scharf. Each partner was given free reign to design and build his or her own "Mr. Bones," which will be on display throughout Kiehl’s New York metro area stores from June 2nd through July 14th. In exchange for their participation in Meet "Mr. Bones," a total of $200,000 will be donated through Kiehl’s Gives on their behalf to organizations supporting HIV/AIDS research, environmental issues and children’s causes worldwide. 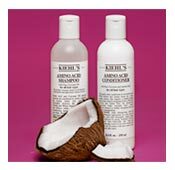 Please visit the Kiehl’s Facebook page for more information and to get involved. The original "Mr. Bones" that founding family member, Aaron Morse used to educate patrons during consultations.This Kiehl’s icon is still on display at our Flagship store in Manhattan’s East Village. The 13 "Mr. Bones" that our partners created were showcased at the Meet "Mr. Bones" kick–off event at GoldBar in NYC.You can see them on display at select New York metro area Kiehl’s stores from June 2nd-July 14th. Kiehl’s U.S. President, Chris Salgardo on behalf of our Meet "Mr. Bones" partners, presents a check for $200,000 to organizations that support HIV/AIDS research, environmental issues and children’s causes. Fashion designers Jeffery Costello and Robert Tagliapietra of Costello Tagliapietra with the "Mr. Bones" they created for Meet "Mr. Bones"
Artist Desi Santiago and Kiehl’s U.S. President, Chris Salgardo with Desi’s version of "Mr. Bones"
Artist Nathan Sawaya with his Lego–inspired "Mr. Bones"
Kiss, kiss! Artist Olek and Kiehl’s U.S. President, Chris Salgardo posing with her crochet "Mr. Bones." Tats Cru and Kiehl’s U.S. President, Chris Salgardo with the "Mr. Bones" they created for Meet "Mr. Bones"
Kiehl’s U.S. President, Chris Salgardo and pop–artist Kenny Scharf hanging out his "Mr. Bones."